Extractive capitalism has spread over our world with a rapacious force. From the mineral-rich Congo to mountaintop removal coal mining in Appalachia, USA, from deep-sea seismic oil surveys in the melting Arctic ocean to the vast fracking fields of Pennsylvania, there is nowhere remote, forbidding or beautiful enough to keep out the insatiable propagation of the minerals and fossil fuel industries, fuelled by our energy-hungry, networked, consumer-focused, waste-generating lifestyles. Conflict Minerals is a month-long exhibition and inquiry, taking place at Arts Catalyst’s centre in King’s Cross, into the human and environmental impacts of extractive capitalism, specifically the mining and minerals trade. It continues my long-standing interest in the planetary commons as an underlying conceptual framework for artists’ engagement with stewardship of the earth’s natural resources and governance of transnational domains (such as the deep seas, polar regions and outer space), and considers whether we can usefully speak of a geological commons. Centering on two artists’ projects by Lise Autogena and Joshua Portway and by Nabil Ahmed, each at a different stage of development, and through a programme of discussions and workshops, Conflict Minerals looks at how the extractive industries affect people and ecologies in areas where mines are sited, and considers more broadly how the mining industry and minerals trade are materially and economically intertwined with our own technologised, networked lives. Against concerns about the destructive aspects of mining are arguments for the industry as a path to broader development, but what are the benefits and what are the payoffs for people living in those regions and communities where concentrations of natural “critical materials” are found? While the term “conflict minerals” is usually associated with the situation in Congo, where the mining of valuable minerals fuels violence and armed conflict, the artists’ works and research in this exhibition reveal that, across the globe, different scales of conflict and tension are unfolding in countries and communities that are inextricably connected to the extraction of geological resources. Through the exhibition and programme of events, we will explore the different ways in which artists approach these subjects – including methods of inquiry, aesthetics, exposure, and tactics of resistance – and how their work can help to build our understanding of how geopolitical and Anthropocenic forces manifest on a local level: in environments, communities, and between people. Lise Autogena and Joshua Portway’s film Kuannersuit; Kvanefjeld (2016) is a work-in-progress, forming the first part of the artists’ long-term investigation into the conflicts facing the small, mostly indigenous, community of Narsaq in southern Greenland. Narsaq is located next to the pristine Kvanefjeld mountain, the site of one of the richest rare earth mineral resources deposits in the world, and one of the largest sources of uranium. The film offers glimpses of the painful community divisions that can occur when people are swept up in forces beyond their experience, in this case the decision being taken whether to allow a multinational mining company to begin mining in Kvanefjeld. Greenland Minerals and Energy (an Australian-owned company) propose to create an open-pit mine, expected to process over 100 million tons of ore in the coming decades. The mine would be the fifth-largest uranium mine and second-biggest rare earth extraction operation in the world. Greenland is a former colony of Denmark, an island of 56,000 people living across an area of 2.1 million square kilometres. Since the 1960s a movement of anti-colonialist nationalism has grown in the country and it is now recognised as an “autonomous administrative division” of Denmark, supported economically by the Danish state. Many people see exploitation of mineral deposits as the only viable route to full independence for the country. For generations, the farming near Kvanefjeld has been Greenland’s only agricultural industry. This way of life will be profoundly changed should the mine go ahead, transforming the local area, its culture and landscape. Autogena and Portway’s film portrays a community divided on the issue of uranium mining, and speaks to people in the community struggling with painful emotions that they find difficult to express in a culture that is non-confrontational. It explores the difficult decisions and trade-offs faced by a culture seeking to escape a colonial past and define its own identity in a globalised world. Autogena and Portway’s position at the start of their inquiry echoes the Greenlandic people’s situation at the beginning of an uncertain social, political and environmental experiment. Artist and researcher Nabil Ahmed, by contrast, presents “spatial evidence” from his research into a situation that has evolved over decades: the conflicts around the Grasberg mine in Papua. Here, the conflicts manifest as violent confrontations between the mine’s Indonesian security forces and local Papuans, direct attacks on the mine’s workers, and anger – both local and international – towards the mine’s immense damage to this rich, bio diverse environment. Ahmed initiated The Inter-Pacific Ring Tribunal (INTERPRT), a collective commission of inquiry, whose long-term goal is to support legal processes taken by people of the Pacific Rim against environmental destruction by corporations and governments, by gathering spatial evidence and hosting a series of alternative tribunals to debate and test “ecocide” (the deliberate destruction of the natural environment) as a viable legal instrument. 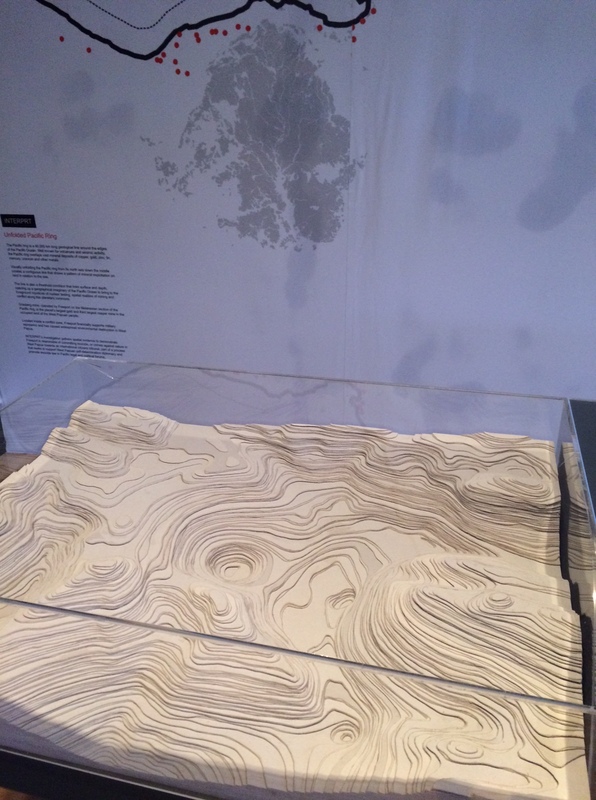 In the research exhibition for Conflict Minerals, INTERPRT presents visually powerful spatial evidence – maps, animation, drawings, models, and archival material – gathered over three years on the case of ecocide in West Papua, a militarised territory, the site of a long-term conflict between Indonesia and Papuans seeking self-determination. 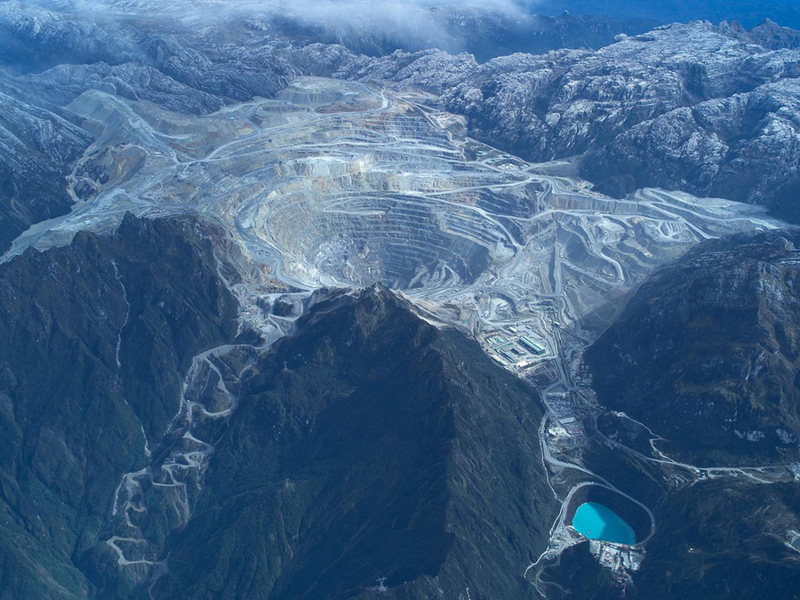 Central to the conflict is the Grasberg mine, which contains the planet’s largest combined reserve of copper and gold. Since the late 1970s, Freeport, the transnational company that operates the mine, has been dumping as much as 200,000 tonnes of mine waste, known as tailings, every day directly into the Aikwa delta. The practice has devastated the environment, turning thousands of hectares of forest and mangroves into wasteland. The company has controversial security arrangements with the Indonesian military, which commits severe human rights violations and suppresses political free speech. International journalists, humanitarian workers, and researchers face restricted movement in the region, requiring remote methods of visualising and reporting on the conflict. 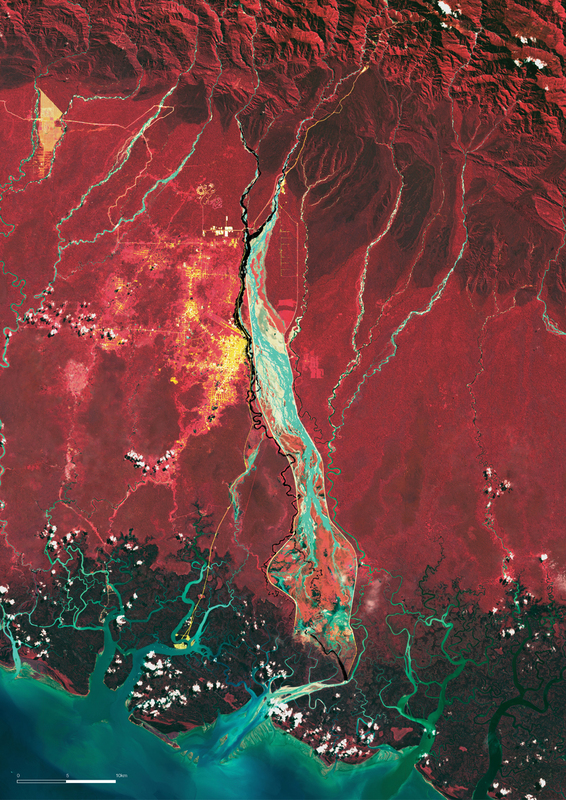 INTERPRT’s analysis of the spatial evidence is based on human rights reports, corporate financial data, and freely available remote sensing imagery, oriented towards building a case of ecocide committed by Freeport and potentially the Indonesian state, that demonstrates the deliberate destruction of Papuan social, cultural, and natural environments. Through a programme of events during Conflict Minerals *, we will draw out themes of conflict and culture, mining and demonology, and the geology of media, as well as progressing the artists’ projects, both of which are process-based and long-term, and developing discourse with other artists, curators and researchers from different fields around conflict, geological extraction and artistic practice. Time permitting, I plan to update with a further blogpost later in the inquiry. * Conflict Minerals runs from 23 March – 22 April, open Thu – Sat, 12-6pm, at Arts Catalyst’s Centre for Art, Science & Technology, 74-76 Cromer Street, London WC1H 8DR. Kuannersuit; Kvanefjeld was commissioned by Arts Catalyst as part of the Nuclear Culture research programme, led by Associate Curator Ele Carpenter, a partnership with Goldsmiths College London. INTERNT collaborators and supporters: Nabil Ahmed, Olga Lucko, Michael Alonzo, Jamon van den Hoek, Sandor Mulsow, Linz Wilbur, International Lawyers for West Papua (Netherlands branch), Akademie Schloss Solitude, Forensic Architecture, OCA Norway and TBA21 Academy. Artist Jack Tan’s project Karaoke Court is a legally-binding karaoke dispute resolution process that draws on Greenlandic Inuit traditions of song duels, used to settle disputes. Tan will be in conversation with Lise Autogena and Joshua Portway. Artist Melanie Jackson and writer Angus Cameron discuss the demons that have populated the shafts and galleries of mines around the world through history. 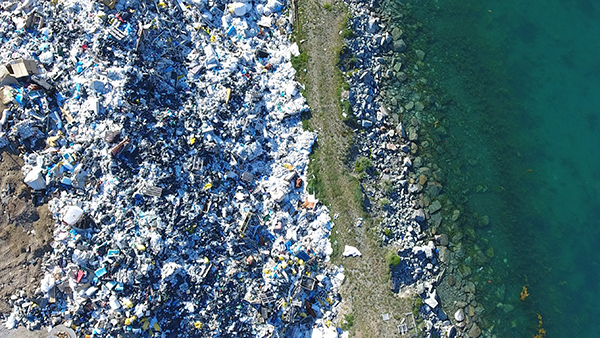 In this workshop, we will explore different ways in which artistic and cultural practices contribute to our understanding of the relationship between geological natural resources (their extraction and distribution) and conflict. Artists, curators and researchers who would like to present their research and work as part of this workshop should email a brief outline with a biography to director@artscatalyst.org by Wednesday 29 March. Wed 19 April 2017, 6:30-7:30pm (Doors open 6pm). £5, booking essential. Exploring the resource depletion and material resourcing required for us to use our devices to live networked lives, media theorist Parikka argues that, to adequately understand contemporary media culture, we must set out from material realities that precede media – Earth’s history, geological formations, minerals, and energy. Please note: I do not get paid for any advertisements that appear below. Income goes to WordPress. My only alternative to these advertisements (which are often inappropriate to the content of my blog) is to pay to have them removed.